As a frequent attendee of the Dscoop Americas Event we’re more than happy to be part of Dscoop EMEA for the first time in 2018. At Dscoop EMEA, locr will be presenting case studies on how printers across Europe have helped their clients to overcome marketing challenges by providing personalized maps in direct mail campaigns. For retail businesses, location is an important value proposition. That’s why leading retail brands across Europe use geomarketing solutions from locr. Our services create a connection with your customer that motivates them to visit your location. All across Europe we worked together with print and marketing service providers to create campaigns that highlight the power of locations in their printed communications. 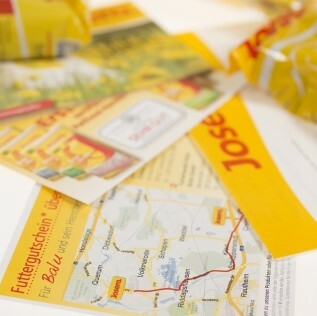 JOSERA is a pet food brand in Germany that uses locr personalized maps in their free sample packs. Each map shows the nearest outlet for JOSERA pet food, how to get there, and long it takes. The maps have increased sales conversion by 3%, and helped JOSERA improve their retail distribution. Read the full case study. De Bradelei Stores run several shops across the UK selling fashion at discounted prices. 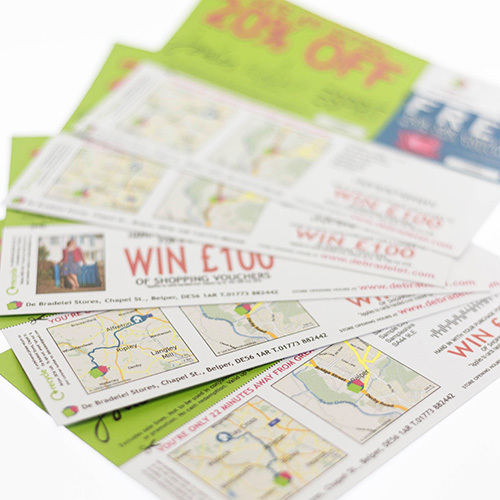 The company took advantage of locr’s personalized maps to target their broad customer base with a direct marketing campaign that increased sales by over 14% year on year. A controlled A/B test revealed a 63% higher response rate for direct mails using personalized geomarketing components than for the static mailer without any personalization. 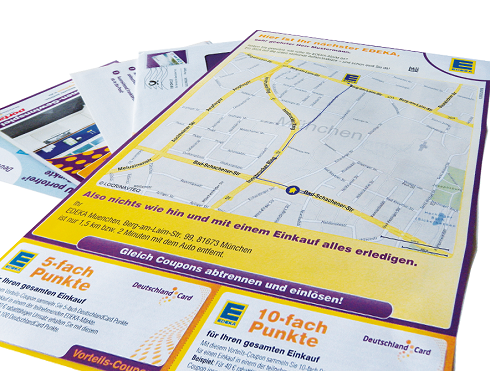 DeutschlandCard GmbH and its retail partner EDEKA AG & Co. KG used locr personalized maps in a personalized mailer that generated eye-catching high impact and individual relevancy. For each address in the mailing list locr created a personalized map that highlighted the nearest EDEKA store with a route from the recipient’s home address to the store location marked with the EDEKA logo on the map. After discovering the attention the mailer attracted, DeutschlandCard and Arvato went on to commission locr to provide personalized maps for further projects. 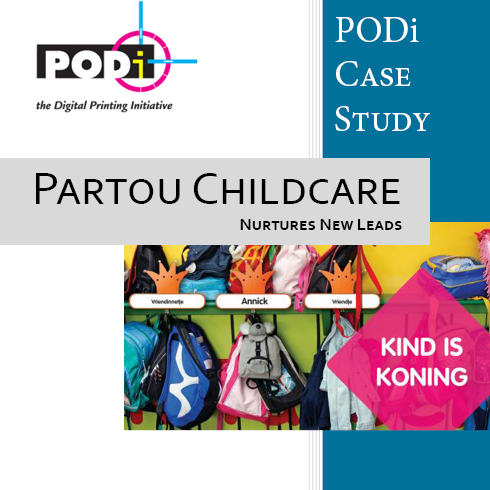 Partou is a large child care organisation in the Netherlands. locr variable maps were used in a multi-channel marketing campaign created to increase enrolment in a range of programs run by the center. 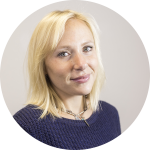 Find out more about how Partou made the most of their locations to gain new clients. Using only mailing addresses, you can create a highly personalized image to include in your direct mail. A variable map from locr is easy to create, and the impact they can have on a marketing campaign is big. Maps generate an emotional connection with the recipient, helping them to “visualise” the journey of visiting a shop, a business, or event. It is this personal touch that results in higher response rates and greater customer engagement. If your client’s location is an important factor in their sales and marketing, you might want to learn more about geomarketing to help them achieve amazing results! Visit the locr team at Dscoop EMEA to learn how print and marketing service providers like you have already used personalized maps for their clients.